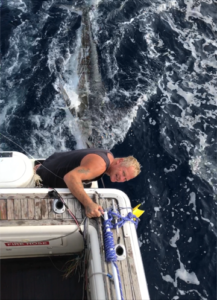 This year’s Billfish Bonanza was pulled forwards a week in the hope of striking better fishing, but as luck would have it this season has been so late, it sort of feels like the gamefishing is just getting going and the timing is spot on! We have had a pretty good run this season in staging tournaments in what has been an unsettled summer with lots of wind rain and high seas. But yet again we scrapped in by the skin of our teeth before another NE storm. 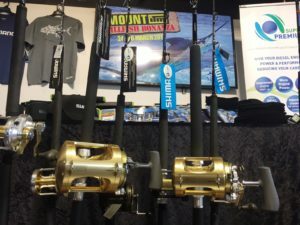 In fact Saturday was perhaps the best day of the season with massive bait balls turning up on the 100-120 on the western side of Mayor and “the secret” was well and truly out with area attracting boats from Tauranga, Waihi and Tairua and Whangamata. By no means were the fish limited to this area though with some of the boats fishing north towards the Aldie Rise coming across a few Stripies. Fixation managed to tag a couple (congrats Phil Eynon!) and Ocean Warrior in the same area lost a double of nice fish. In fact there were a number of fish dropped over the entire weekend with the final overall tallies being quite low especially given the fact the there was a fair amount of action on the radio. 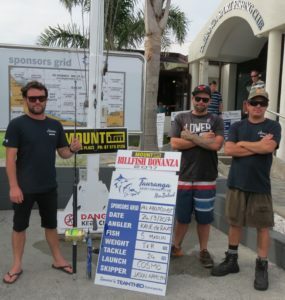 Well done also to Kane De Ratt on Cosmo and Gavin Parnwell on Crusader both also managing to tag striped marlin, all taking away Talica combos from Shimano for their efforts. 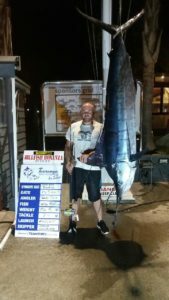 A few albacore around filled in for the absence of any large tuna with Charlie Moores off Andros managing a nice 12.94kg model, followed by Sam Tingey off Sterling Belle. 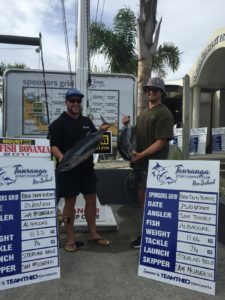 No Mahimahi or Short bill Spearfish either this year so these prizes were lucky drawn much to the delight of the anglers at prize giving! As with most of our events this year there is always a lead story and this must go to Mitchell Tombleson fishing on Bandit. 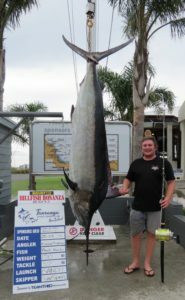 The boys put in some serious time on the baits and the patience and belief paid off when they hooked a Black Marlin on Saturday. 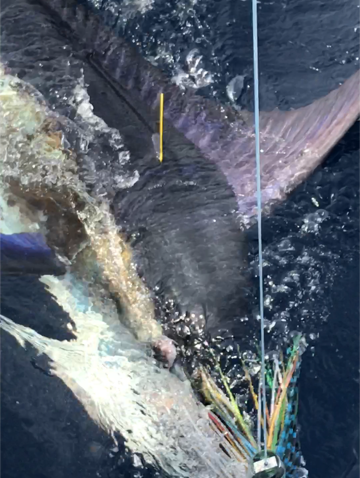 After a moment of reflection Mitchell soon worked out not only had he caught an amazing fish, this fish was in fact the missing piece in his Billfish Grand Slam. On looking up the qualifying weights it was noted the fish needed to go 150kg to qualify. Like something written out of a Hollywood script the team took the fish to the TSFC weigh station where it pulled the scales down to exactly 150.00kg! Unbelievable and meant to be you would have to say! 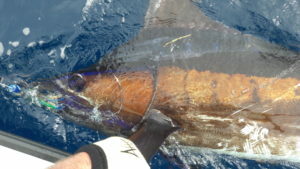 Congratulations Tumbles on your pending Billfish Grand Slam! 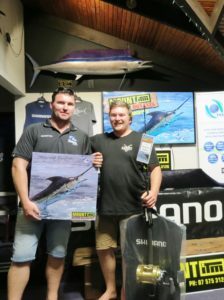 The Black Marlin also took out the heaviest fish for the MOUNT ITM Billfish Bonanza this year with James Scott’s 114.5kg Striped Marlin coming in second place. Congratulations to all of the 145 anglers this year, a great turn out and by all accounts lots of fun on the water this year. 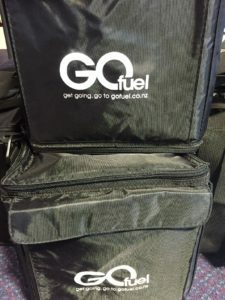 Also our biggest thankyou of course must go to MOUNT ITM and GO FUEL for their generous support next year let’s get you guys fishing!